The concept of “information” is widely used in modern science and means “data” or “message”. In spite its use by various scientists no physical essence can be still attached to it. The first appearance of the original concept of information theory took place during the development of various communications systems, which had to ensure information transfer or exchange. The operational principles of various systems obey strictly the laws of physics, where optimization of the same systems operation requires the dealing with the amount of information, which can be transmitted through communication channels. H. Nyquist, R. Hartlee and C. Shannon, and Landauer all employees of Bell Laboratories were pioneers in the field. Their works resulted to Shannon’s theory of information which further resulted in the optimization of the operation of the technical systems. Furthermore, a collection of these notions, called by Shannon himself “Mathematical Theory of Communication”, became the basis of classic Information Theory (Shannon, 1948). Moreover, Shannon’s work does not explain what really information is, but instead answers the question of what amount of information may be transmitted in time making use of certain signals. On the other hand Shannon introduced the idea of the identification of two different phenomena in relation to information, in other words: information as a physical category but also information as the frequency with which a certain message would occur. Quoting Norbert Wiener, the father of cybernetics, we say that: “Information is information, not matter or energy, it is something else”. Any physical system can register information just from its existence. Systems that dynamically evolve time not only transform but also process information. In relation to the laws of physics we say that these laws determine the amount of information that a given system can register (i.e. number of bits or nats) as well as the number of elementary logic operations that the given system can perform (i.e. numbers of operations). This expression demonstrates how information enters the acceleration of gravity via the information number N. In particular, we see that the logarithm of argument 1-2-N multiples only the factors that originally multiply g in the sedimentation probability formula. In other words the term involving the number of information N compensates in the absence of the acceleration of gravity g if the acceleration of gravity g is what we seek as a function of the information number N. g becomes g(N) since sedimentation is taking place but also since sedimentation connects to the acceleration of gravity. The fact that the two variables are correlated is manifested on the phenomenon of sedimentation. Therefore, the spatial-temporal conditions (gravity, time, etc.) serve as substrate for the correlation of gravity g to the number of information N. At this point the reader might ask where all this information comes from, or what is the physical essence of information bits detected and decoded by the respiratory system? This is indeed a valid but difficult question to answer taking into account what Norbert Wiener the father of cybernetics says about information. According to Haranas and Gkigkitzis (2013) we postulate that the required information results from the spacetime structure itself. Spacetime constitutes an information repository (ibid 2013). For example the structure of the Ricci scalar scales as the inverse of the information number N i.e. R∝1/N∝1/S in a universe of curvature constant k. Zero number of information N would imply an infinite Ricci scalar and therefore a singularity. In other words finite number of information would imply a finite Ricci scalar, and therefore space time will unfold. The concept of information has acquired a strikingly prominent role in many parts of physics and biology and its applicability extends far beyond domains where the concept might seem to have an obvious application, such as the study of perception, cognition and language. It now reaches into the most basic parts of gravitational biology. It is a rich, useful, and relevant concept in applications since anything is a source of information if it has a range of possible states, and one variable carries information about another to the extent that their states are physically correlated. Some have drawn on the teleosemantic tradition in philosophy of mind to make sense of this richer concept (Stanford Encyclopedia of Philosophy). To provide an account of the content of this concept, the proper functions of the states of a system or the mechanisms that produce them, may be used as signifiers. In any case, the intuitive meaning of this concept may indicate the existence of a semantic memory (memory for meaning), a mnemonic system that goes beyond the cellular memory (DNA), which determines everything inside a human organism and the cerebral cellular memory, brain function, which regulates our association with our self and our environment. A close connection between information and memory (through gravity) is supported by recent studies on the effects of gravity changes on neurovascular unit and modulation of learning and memory (Porte and Morel, 2012). From Eq. (4) we see that if the acceleration of gravity g changes the probability of sedimentation changes and therefore the information contained in the random variable, as it is decoded by the pulmonary system. Thus we say that the pulmonary system is a receiver and a decoder of information. Therefore, the environment is the sender as it sends information on the human body, in other words the biophysics of sedimentation and respiratory system describes a communication channel. This communication channel can be designed based on parameters, such as gravity, to change. Therefore gravity in our case controls how to transmit the information signal. 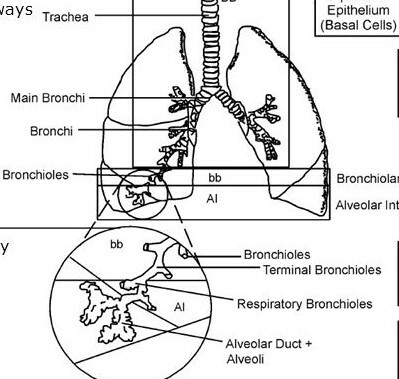 The pulmonary system is the biological decoder in which information is received and as primordial information it interacts with the structural information of the system, producing a new kind of information which could be interpreted as a kind of meta-information information of the interaction. This can be thought as a way in which gravity enters the cognitive processes of the system (processing of information) in the cybernetic sense. “Shannon’s” approach to sedimentation is a new different approach that is related to the main approach adopted in the paper through the probability of sedimentation. This is a first step towards an approach that aims in a deeper understanding and mathematical and structural description of information processing in human organisms in variable gravitational background. Godfrey-Smith, Peter and Sterelny, Kim, “Biological Information”, The Stanford Encyclopedia of Philosophy (Fall 2008 Edition), Edward N. Zalta (ed. ), http://plato.stanford.edu/archives/fall2008/entries/information-biological/. Haranas I., Gkigkitzis I., Zouganelis, G D., Haranas, M, K., Kirk S., Respiratory Particle Deposition Probability due to Sedimentation with Variable Gravity and Electrostatic Forces, , GENEDIS 2014 Proceedings, Advances in Experimental Medicine and Biology in press May 2015. Porte Y., Morel J. L., Learning on Jupiter, learning on the Moon: the dark side of the G-force. Effects of gravity changes on neurovascular unit and modulation of learning and memory. Frontiers in Behavioral Neuroscience, Vol. 6, Article 64, 2012. Shannon & Weaver. (1959): The Mathematical Theory of Communication. Univ. of Illinois Press, 1959. Shannon C., E., A Mathematical Theory of Communication. Bell System Technical Journal 27 (3): 379–423, 1948. Wiener, N. (1980). Cybernetics: Or Control and Communication in the Animal and the Machine. Paris: Hermann & Cie, and Cambridge, Mass: MIT Press.